The Scrapping Cottage (CottageCutz) has a die in its new Christmas release that is available ONLY on their website. It will not be available from any other outlets. 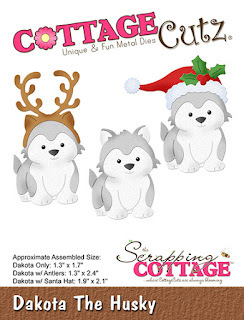 Called Dakota the Husky, some of the design team members will be featuring him on our cards this week. He is really cute! I used the version of Dakota wearing his Santa hat on my card -- along with some new Christmas plaid paper I just bought last week. I started my card by cutting out the die pieces from white cardstock. I then colored him with Copic markers and put him together. Plaid - 5 1/8" x 3 7/8"
I then cut three ovals using the Cross-Stitched Ovals set. To save cardstock, the red oval was cut from the center of the 4" x 5 1/4" layering piece. 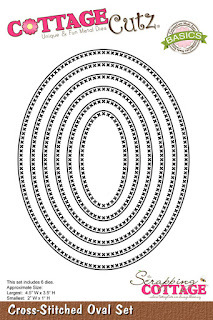 The plaid oval came from a scrap. 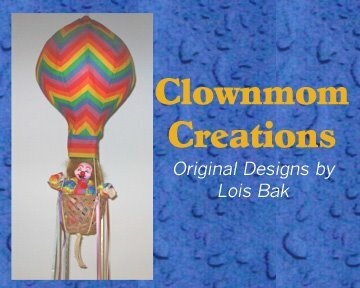 I constructed my card, layered the ovals together, and placed some adhesive foam circles on the back of the oval and Dakota . . .
. . . placing them on the front of the card. 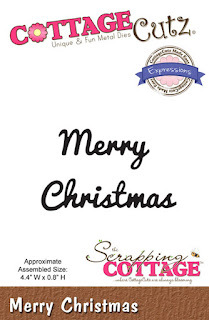 Using a Merry Christmas phrase, I cut the sentiment from dark green cardstock. After gluing the sentiment on the popped-up oval element, my card was complete. 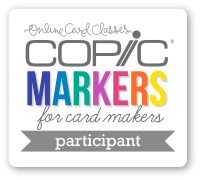 Joanne finishes up her month as hostess of the CCEE Stampers challenges by asking us to make a true one-layer card -- no layers, no pop-ups, no embellishments. This is not my usual style of cards, but I'm always open to a challenge. I do like masking and sponging, so that's what I did for this Thanksgiving card. After taping some removable tape around the edges of the card, I sponged on some Ranger Distress Antique Linen ink and stamped the leaf down the side in three different colors. It's one-layer but gives the impression of some dimension. 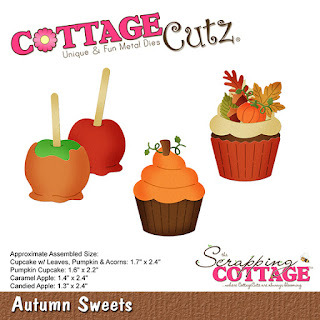 Check out the CCEE Stampers blog for some more one-layer creations. I thought I was finished making Halloween cards, but I decided to make at least one more -- using several different dies and stamps. 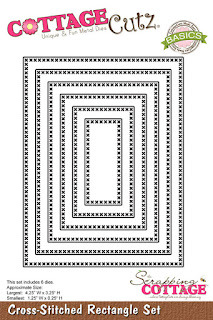 The base of my card is the Karen Burniston Twist Panel die, which I love. The front has some CottageCutz dies, and the inside features some old stamps from my huge Halloween stock of stamps. As I said, the front is made with several different CottageCutz dies -- the Double-Stitched Oval set, the Halloween Ice Cream Cone, and a Happy Halloween phrase. The inside is where the magic happens -- with the Karen Burniston Twist Panel Pop-Up die and some old MFP Stamp Shop Halloween stamps. That two-sided Halloween paper has been sitting in my stash for at least five years! This may or may not be my last Halloween card for the season. We'll see! I made a Side Step Card today, using several of the new Autumn dies from CottageCutz. Wood plank cardstock - 8 1/2" x 5 1/2"
Cream cardstock pieces - 7/8" x 5 3/8", 2 7/8" x 3 1/4", 3 3/8" x 7/8", 3 3/8" x 2"
Orange plaid paper pieces - 3/4" x 5 1/4", 2 3/4" x 3 1/8", 3 1/4" x 3/4", 3 1/4" x 1 7/8"
A side step card is a relatively easy fun fold. To show you how to cut and score, I made a little diagram. After I cut and scored the wood plank cardstock piece, this is what it looked like. I then glued the orange plaid pieces to the cream pieces and adhered them to the card base. 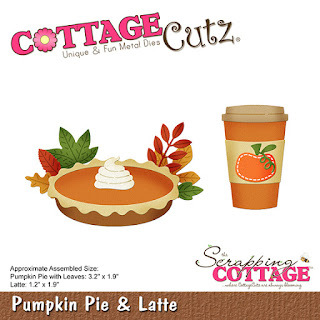 I then cut the Autumn Sweets and Pumpkin Pie and Latte dies from cream cardstock. After coloring the pieces with Copic markers, using the packaging as a guide, I constructed each of the images. 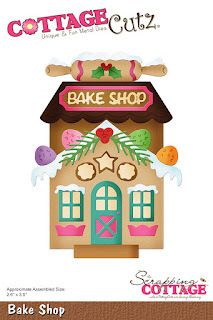 I also cut the word "fall" from the Fall Phrases die and rolling pin from the Bake Shop die and stamped the words "bake sale," using my old Snap Stamps. I then adhered all the die-cut pieces to the card base, gluing the "fall" and rolling pin and using foam pop dots on the others . . .
. . . and my card was complete. 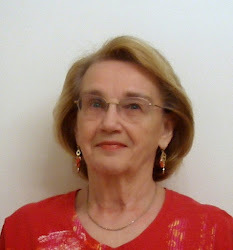 Joanne continues as hostess for the CCEE Stampers this week. She told us that today is No Beard Day and asked us to make some masculine cards with mustaches, but NO BEARDS. In honor of the next installment of the Fantastic Beasts movie franchise, which opens next month, I used a stamp set inspired by two of the characters in these movies -- Jacob and Queenie. As you can see, Jacob has a mustache and NO BEARD! I'm not sure if this card qualifies as "masculine," but I thought the brown plaid might give that impression. Be sure to check out the CCEE Stampers blog to see how the rest of the team celebrates No Beard Day. Star Wars is one of my favorite movie franchises -- even the ones with Jar Jar Binks! I was really excited when the new trilogy began -- with some old favorite characters as well as a number of new ones. 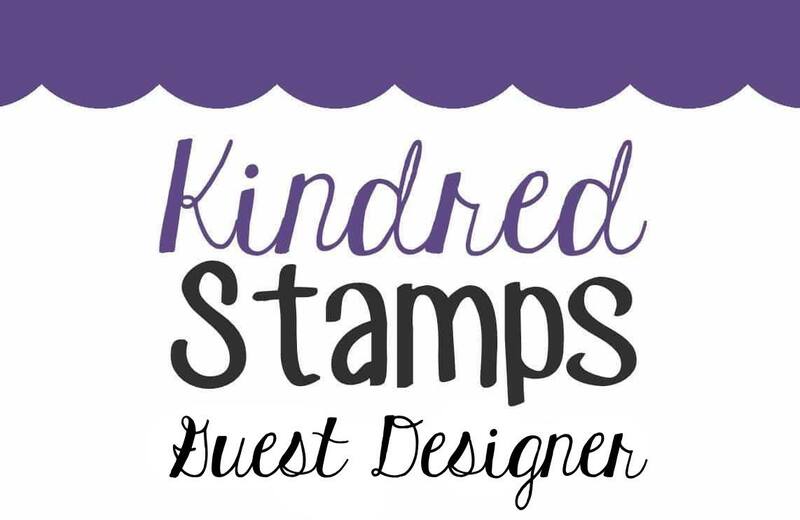 I've made an accordion card using the Karen Burniston Fancy Label Accordion die, some Galactic Adventures stamps from Kindred Stamps and a favorite background technique -- the Galaxy Background. In case you've never done this particular technique, I have described the technique on this post from 2017. It's not really difficult, just messy. For this particular card I created the background prior to gluing the three panels together. For the ground I cut three more panels from tan cardstock, trimmed them down, and sponged along the top with some Vintage Photo distress ink. When closed, this is the front -- created by cutting an additional white panel with the die and just cutting out the inside panel and adhering it over the first panel on the card, covering up the tabs that connect to the second panel. Then I made an additional galaxy background panel and cut it out with the smaller die and stamped on the sentiment with Versamark, embossed with detail white embossing powder. The frames on this card were cut using the Karen Burniston Fancy Flourish Frames, which coordinate with the accordion die. And I hope you'll give that galaxy background a try. It's really fun! 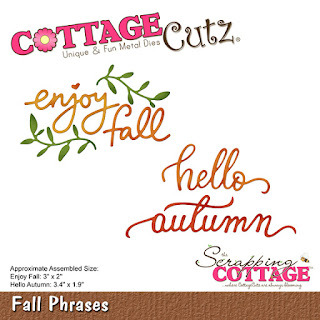 CottageCutz has a brand-new release of Fall dies -- and they're all just marvelous! 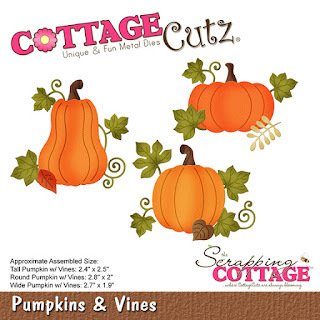 I chose two of them for my card today -- Pumpkins and Vines as well as Fall Phrases. I had seen a card made with a die-cut frame mounted on top of patterned paper and liked the way it looked, so I used basically the same idea on my card. To make the frame I cut a piece of orange cardstock 3 3/4" x 4 3/4" and placed the largest of one of the straight-edged rectangle dies in the center. You could use any rectangle die -- I just happened to have the Cross-Stitched ones, so that's what I used. I can use the center (with the cross-stitches around the edge) for another card. I then cut my card base . . .
Brown - 5 1/2" x 8 1/2", scored at 4 1/4"
. . . and constructed my card. I then cut the Pumpkins and Vines die -- the pumpkins in orange and the vines in green. Using a brown Copic marker I colored the pumpkin stem and sponged the pumpkins and vines with orange and green distressed ink. A little hint: because the pumpkins are slit, you can slip a piece of scrap paper into the slits to allow you to sponge the edges of each section separately. It gives a bit of dimension to your pumpkins. which I sponged with a little bit of brown distress ink. 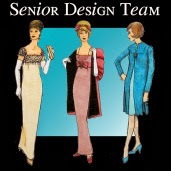 I then gathered all my die-cuts and placed them on the card. I moved them around a bit until I was satisfied with the arrangement and then glued them down. As you can see, I extended some of the leaves over the frame. 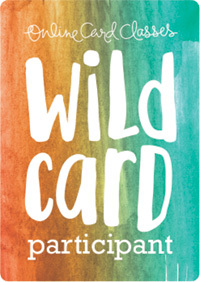 My card was now finished. 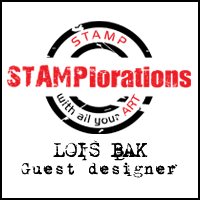 Joanne is a lover of dogs, and that's the theme of her CCEE Stampers challenge this week. She told us that October is Adopt a Shelter Dog month. Here's my get-well card, dedicated to all the sick and wounded dogs who wind up in shelters. Be sure to check out some more canine cards over on the CCEE Stampers blog. 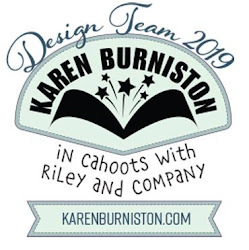 Karen Burniston Designer Challenge -- Happy Fall, Y'All! Living in Florida, I don't see a whole lot of Fall -- just that it's not hot Summer any more! Most of our trees stay green all year long. But one thing that always comes to Florida in the fall is HALLOWEEN! I love to decorate for Halloween. So my project for the October Designer Challenge had to be a Halloween card. I made good use of some old patterned paper in my stash. I particularly like the "grass" in this cemetery on the front. I used some of the Halloween Charms and cut the tombstones from one of the dies in the Halloween Scene set. The inside is pretty fun, too. I used the House & Fence Pop-Up and more of the Halloween Charms and Halloween Scene dies, as well as one from the Halloween Elements. Don't you just love the spider-y paper on that haunted house? Thanks for stopping by my blog today. I hope you'll come back again!